When last I covered the adorably cute platformer, A Hat in Time, actual money was involved… in the mapping contest. Not quite so with its Seal the Deal DLC; provided you grab it soon that is, as the developer has made it free temporarily. But while that’s nice and all, what’s actually in this mini-expansion? A lot actually, including… wait for it… split-screen co-op! Yeah. So groovy. 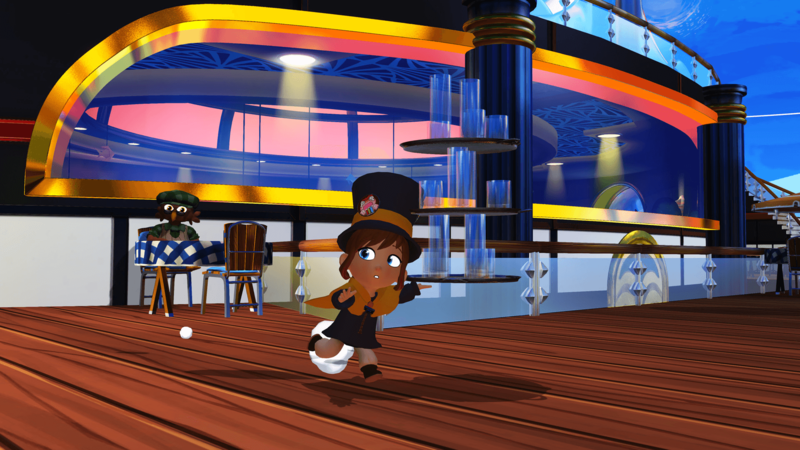 Although for those not interested in playing A Hat in Time with a friend, fortunately, the DLC also adds a brand new chapter to the game in The Arctic Cruise and the Death Wish challenge mode. While the latter is said to be absolutely brutally difficult, it does feature a selection of new outfits, flairs, dyes – even the odd camera filter – so I’d say ‘worth the effort required’. Oh, almost forgot to mention how players also get six additional Time Rifts if they choose to… Seal the Deal. Not a bad seal. I mean, deal. Deal. Seal. A Hat in Time‘s Seal the Deal DLC is available on GOG.com and Steam, without a price tag at the time of writing.